Open spaces will forever be tied to our inner spaces. We take pride in connecting people and their emotions to places and their purpose. 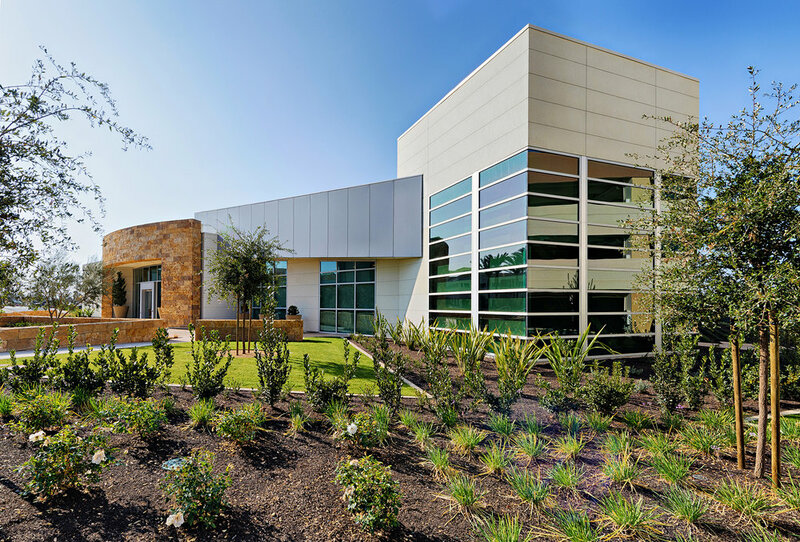 Purposeful rebranding of this fast-growing medical campus continues from its humble beginnings as a distinctive orange grove, begging for innovation on every possible level – including low and reclaimed water use. The 25-year vision is to integrate spaces and places that welcome people coming in or going out from an organic, non-institutional aesthetic. 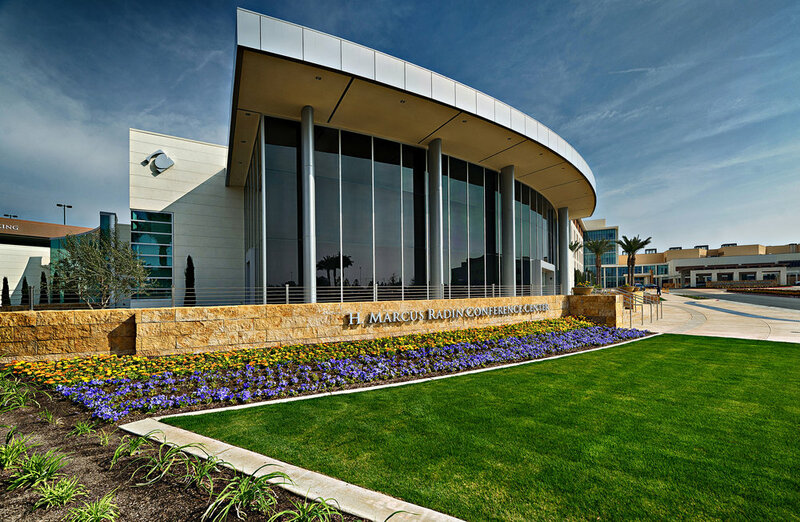 The organization of signage, landscape massing, paths and lighting serve patients, employees, and visitors alike with commonality of materials to tie the perfect ribbons around the buildings and architecture. As part of the master plan, a cancer center should exceed expectations during trying times. We took up all the many challenges to create an Infusion Terrace that began as a roof garden, and ended up as something even more wonderful — a sensory outdoor setting that can be wandered through or rested in, with music from an ensemble of wind chimes. Health education centers don't have to be boring inside or out. As a place of administration, teaching, conferences, lectures, and outdoor events, we leveraged fountains, courtyards, plant placements and beautiful views to create an inspiring aesthetic no matter where patrons might find themselves.